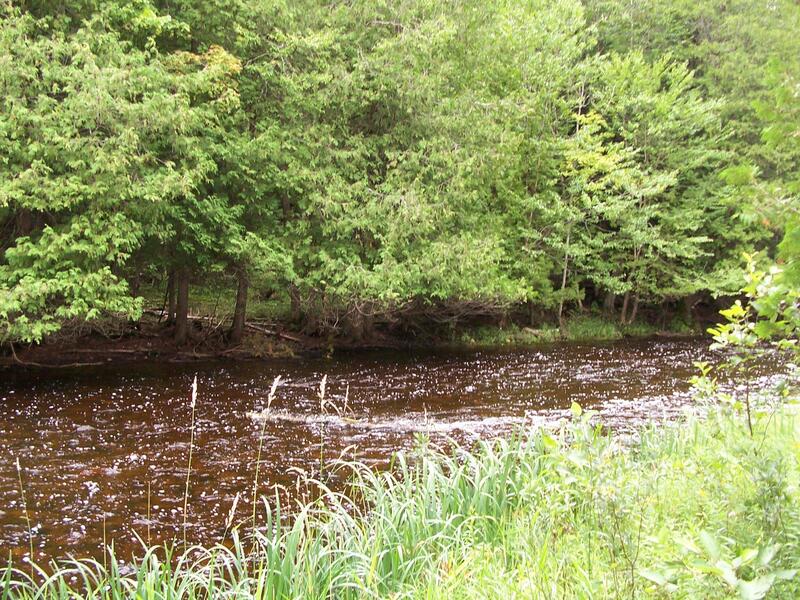 Beautiful river front parcel tucked near the end of a private road. Whether you chose to camp or build there's a rolling elevated site overlooking the river. The terrain would be the ideal setting for a walk out basement. Enjoy the day fishing for trout or kayaking the winding river as it flows to Lake Huron or just relax by a crackling bonfire as you listen to the crickets and river gurgling by. The site is nearly 3 acres with over 325' on the river. Located just a mile from the snowmobile trails or just two miles to 1000's of acres of State land. Truly an up north paradise.